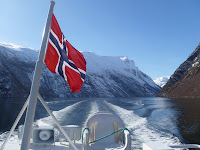 This is the 7th and final post in a series on the Norwegian Fjord and Glacier self-guided tour we took offered by Authentic Scandinavia. If you missed the other 6, just click on the travel tab. 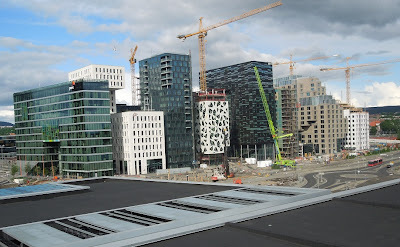 As we booked extra days in Oslo - 3 at the start and 1 here at the end - this was actually Day 11 and 12 for us. The final day of the tour (their day 8) just had breakfast at the hotel and then departure. We wanted a day at the end to relax, unwind and perhaps visit a couple galleries that were closed when we were here earlier. With the loss of my passport, that changed. Thank goodness we had this extra day to sort things out. Day 11 - 7 a.m. I was up and ready to work on how I was going to get on the plane the next day, only to find the phone in my room would not dial out. Glen headed down to the front desk to call the credit card companies for me while I made a list of numbers. Then down I went to sit at the courtesy desk in the Thon Opera lobby with phone and computer. What was most frustrating was it took over an hour just to get the name and number of the gift store at the Voss Train Station. After confirming no one had turned in my passport, and calling the U.S. and Canadian embassies in Oslo (I am a landed immigrant in Canada), it was apparent I needed a temporary replacement. With no photo ID at all, I was obviously apprehensive. Fortunately the U.S. Embassy could not have been more reassuring and helpful and I was scheduled for an emergency appointment at 11 a.m. I cannot say enough about the respect I hold for the people I met with. They were both kind and extremely efficient at dealing with my dilemma. I was out the door 20 minutes later with instructions to return at 2:30. A great weight lifted off my shoulders. 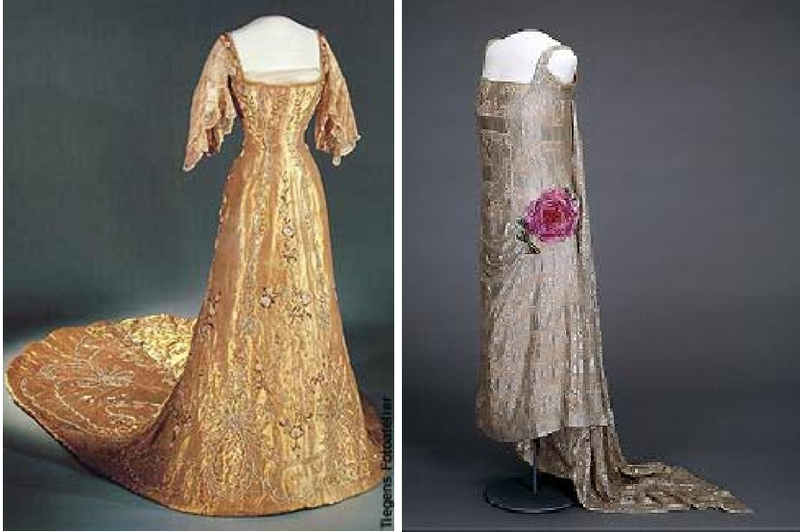 Left - 1906 Coronation Gown. Right -another royal garment. 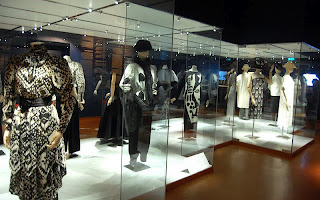 Glen and I decided to use this free time to visit the Museum of Decorative Arts and Design and see their collection of Queen Maude's garments - something Ivan Sayers of the Original Costume Museum Society had strongly recommended. There were 2 areas to visit. In a room placed off a landing between the 1st and 2nd floor was the royal carriage and 4 sets of garments (king's and queen's). If I remember right, 2 sets were worn by King Haakon VII and Queen Maude and 2 by the current royalty - King Harold V and Queen Sonja. The gold dress Queen Maude wore to her husband's coronation in 1906 displayed here was my favourite garment in the entire collection. Particularly intriguing was the lightly padded hem edge and a barely visible pleated under-ruffle that the train floated on. On the top floor of the museum was a larger historic display. In the royal section were garments from several royal family members, but Queen Maude's were the most lovely. The newer garments just weren't as interesting in fabric, construction or design. Even when the dress was simple, the cut and detailing on the earlier garments were inspiring. I think we have lost something in recent times. Two adjoining rooms also housed displays of garments, both worth seeing. 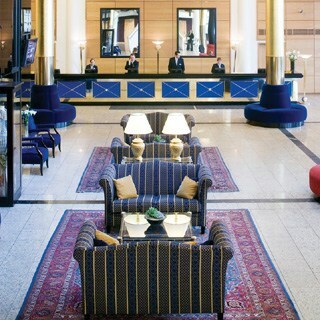 In the room preceding the royal display is a large selection created by retired Norwegian designer Per Spook. I loved his design work and was sorry to learn he was no longer in the business. In the room following there was a great selection of mens and womens period clothing going back to the early 1600's, with a description in both Norwegian and English next to each. We also walked through the furniture exhibition and I was again struck by the amount of ornate decoration on each piece. Up to this point I had seen mostly painting and carving, but here I also saw very intricate wood in-lay. There museum had a lot more to offer, but we really needed to relax and unwind from the stress of the morning. After lunch and a bit of time spent in the park at the Royal Palace, it was time to pick up my temporary passport. The evening held one last outing over to the Opera House to walk around the roof for our parting look at the Oslo skyline. One thing I forgot to mention in my earlier posts was the tremendous amount of construction going on along the waterfront. Below is a view we saw in just one direction. Construction cranes could be seen everywhere you looked. 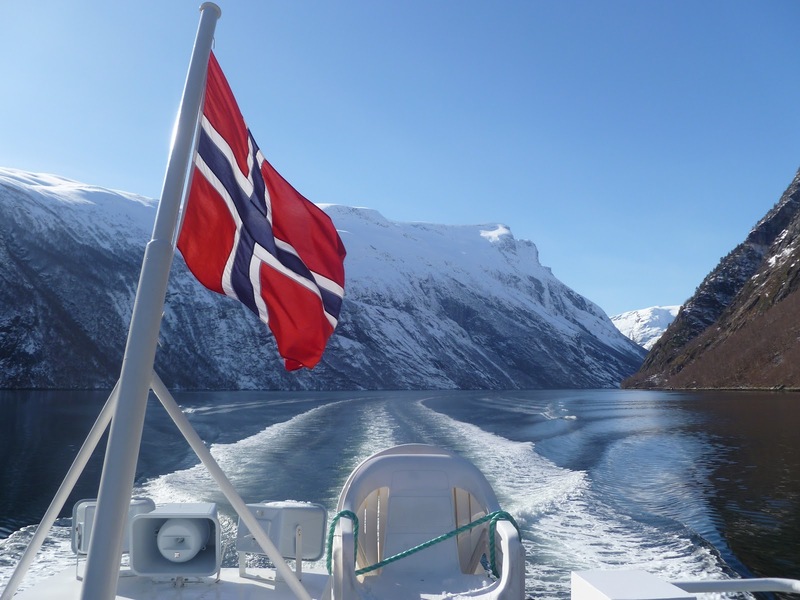 Day 12 – Time for the long journey home by plane. It's hard to stay in one seat for so long, especially with the excitement of the trip over. Thank goodness for e-books, tablet computers (movies and games) and on long flights like this – KLM's great food service. We were happy but exhausted when we finally stepped off the plane in Vancouver. It was an amazing trip and there was so much more we could have seen. We're both hoping to return sometime in the near future.